The N orfolk Food and Drink Awards showcase the very best food, drink and hospitality businesses the county has to offer. 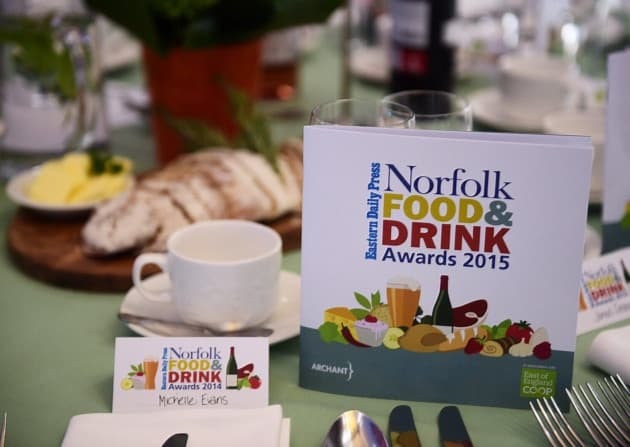 The gala ceremony took place last night at The Norfolk Showground, and hundreds of people gathered to celebrate the sheer quality of Norfolk’s food and drink industry. As specialists in both the hospitality and agricultural sectors and sponsors of this years awards, we were very impressed with the level of excellence displayed by all the businesses shortlisted. This non-traditional pub was described as a central community hub that serves the local and tourist trade while encompassing the lovely views of Gorleston’s expansive beaches. Find out more about The Cliff Hotel. Find out more about Redwell Brewery. Finalists: Creake Abbey in North Creake, Redwell Brewery in Norwich and Place UK in Tunstead.